The plan was to use up the odds and ends of 8 ply wool yarn in the stash, all colours and each square bordered with two rounds of off white. There are lots of squares made and in lots of different colours but somewhere along the way I got distracted. 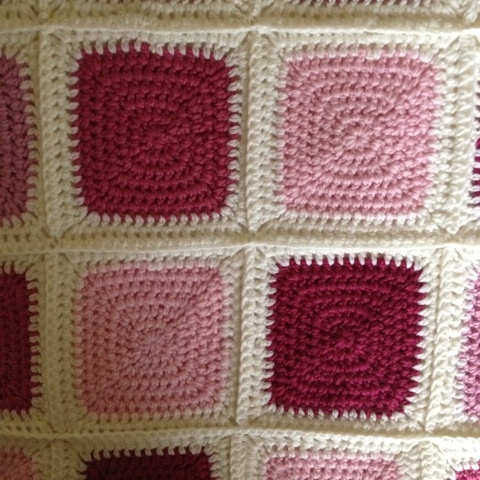 I liked the pink squares so much that I purchased more pink yarn so that I would be able to make the squares into a cot blanket. One of the ladies at my knitting(crochet) group remarked that 'all that pink and white reminds them of coconut ice'. There are quite a few different shades of pink. 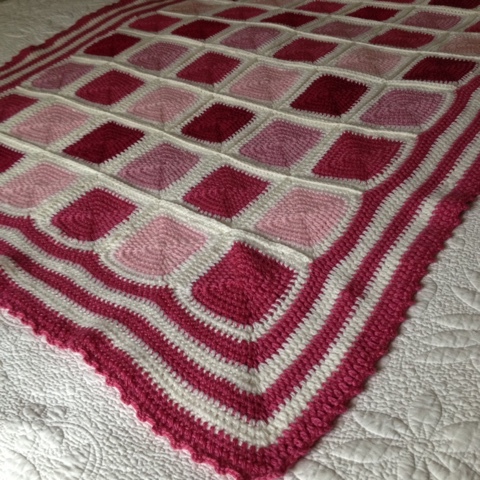 Forty eight squares and a generous border. The finished blanket is approximately thirty six inches wide and Forty eight inches long. I like this pattern and crochet it a lot, the squares are the perfect for carrying around in my handbag and at knitting group where I can chat without having to concentrate on a pattern. 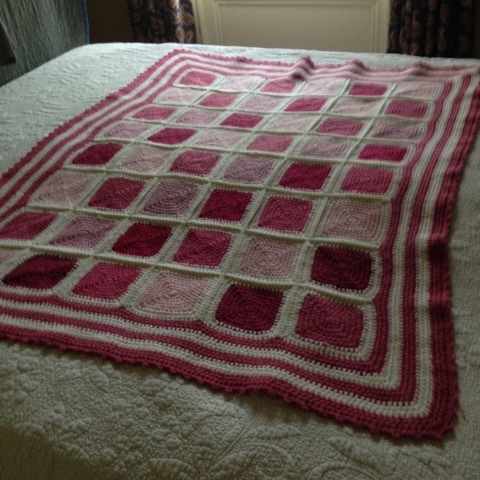 This blanket has all the squares crocheted together which has created a ridge around each square which adds some additional definition to the quilt.